Hi kids! Another robot games - Cyber Bear Assembly added today on our website Dinosaursgames.net - website for all dinosaur games online. You can play this game in your browser or mobile as well. Cyber Bear Assembly is a puzzle game in which your task is to assemble a Cyber Bear. Like other robot assembly games, in here you need to assemble the scattered parts into a powerful Cyber Bear by dragging the pieces to create a complete robot. Try to complete your missions as fast as you can. After completing the assembly, you can test your Cyber Bear robot by passing obstacles, how to shoot and match the jigsaw puzzle on time. In the end, then take the last challenge and make your bear robot unique, by choosing colors and texture for it. Can say Cyber Bear Assembly is a very interesting game, if you love this game, then try it now! We hope you enjoy it and come back here to play more games on our website! 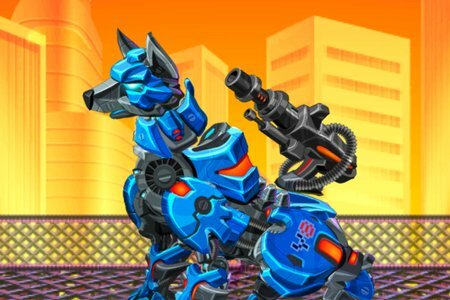 Play Cyber Bear Assembly and start creating your Cyber Bear! Please enjoy and share with your friends!